.Support brightness, contrast, hue, and saturation control. .The dimension suitable that is easy to carry. .Popular USB 2.0 interface and not need other power. .Support for all formats: record in DVD+/-R/RW, DVD+/-VR, and DVD-Video. .Applying to internet conference/net meeting. .Could capture audio without the sound card. .Complies with Universal Serial Bus Specification Rev.2.0. .Supports NITSC, PAL Video format. .Video input: One RCA composite, One S-Video. .Supports high quality video resolution. 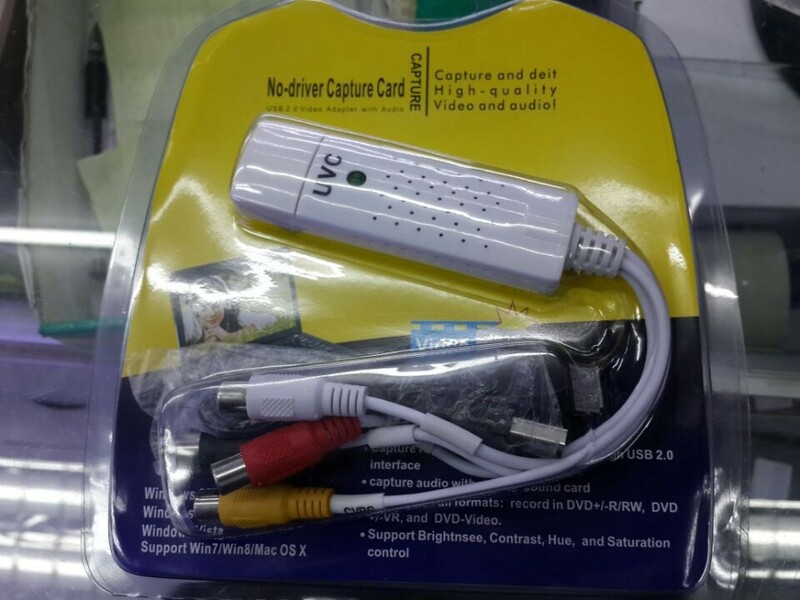 .The EasyCAP USB 2.0 video adapter with audio , it can capture high-quality video and audio file direct by USB 2.0 interface without sound card. However, the installation is very simple and the external power is unnecessary.